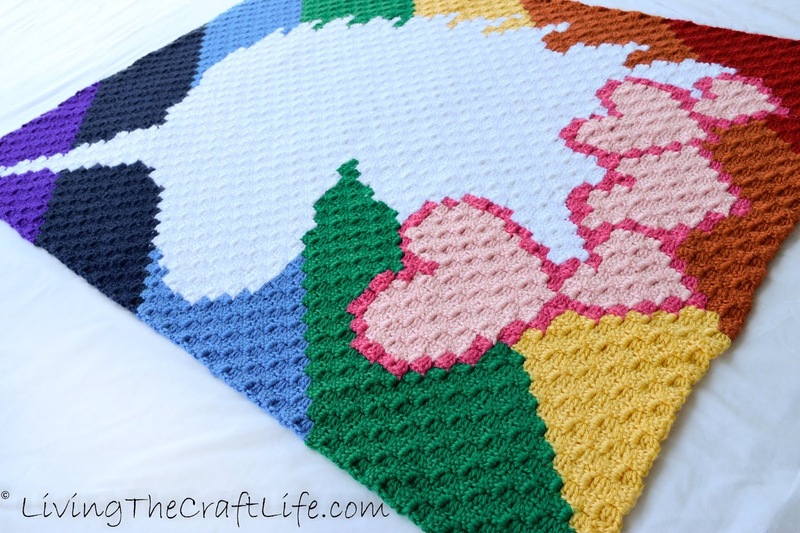 Living the Craft Life: HeartSprinkle C2C CAL Finished! I shared with my Facebook followers a photo of the completed blanket immediately after I finished it. I happened to be at the park with my kids and they were soOoOoOo excited to see the final result. I spent the next few days doing the one thing all crocheters love the most... weaving in tails! I spent a few days tying and sewing them in during the little breaks I had throughout each day, and I finally got it finished! Now I need to decide on whether to put a border on it, or leave it as is. I love the way it turned out, so I am leaning towards leaving it as-is. 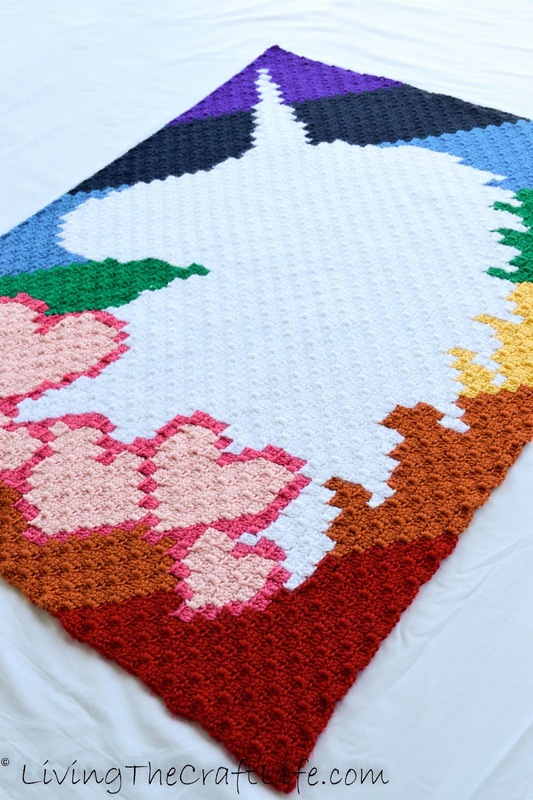 It is such a beautiful blanket! 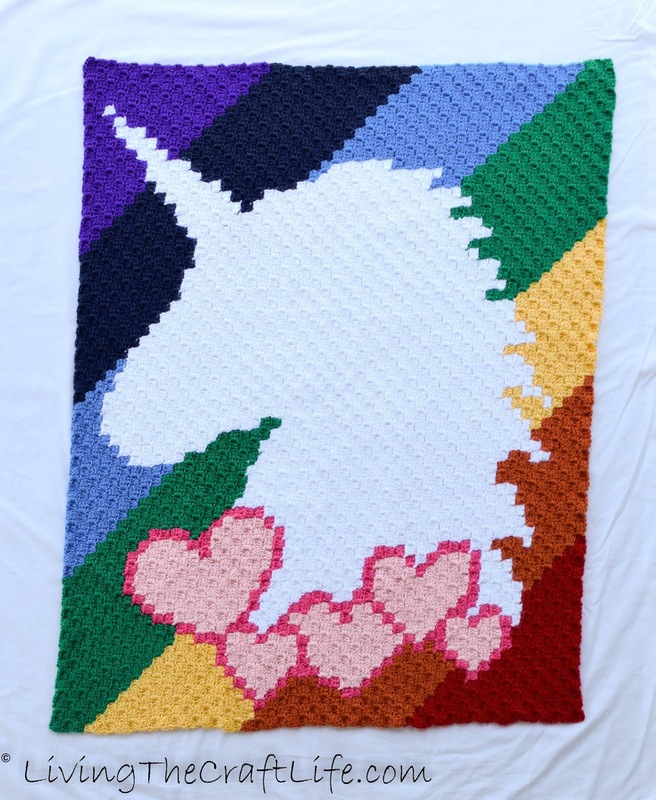 Who would you give this blanket to?